A drive along Southern Indiana’s country roads is simply beautiful during the fall, and the roads less traveled lead to memorable fall fun. 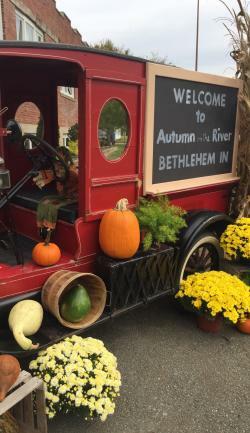 Every October, thousands of festival-goers attend Autumn on the River in Bethlehem, Indiana. Bethlehem is a quaint town in northeast Clark county, eight miles off State Road 62. You’ll find this festival has what makes festivals great: food, arts and crafts, rides, and a parade, but what makes Autumn on the River unique is its picturesque riverside setting. You’ll enjoy the Bethlehem festival’s laid-back vibe. And you’ll feel good knowing your festival dollars support the town’s historic 1927 school house. After Bethlehem, travel down State Road 62 to Charlestown State Park. The park’s 15,000-acres provide breathtaking views of the Fourteen Mile Creek valley and the Ohio River along its six trails. For a true “roads less traveled” trek, hike trail 3 to Rose Island—a once popular 1920s amusement park whose structural remains are now an exhibit. Interpretive panels with narrative, and old photos along the way help you envision what the park was like. End the day with a picnic or camp overnight. The park has 60 full hook-ups, a playground, and shelter houses. From State Road 62, meander towards Charlestown on State Road 3, turning onto Hwy 403, then onto Hwy 160. Follow the winding road to State Road 31, turning right to reach Clark State Forest, Indiana’s oldest state forest. 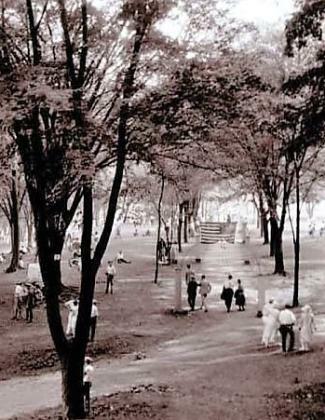 Originally 2,028 acres of land, the park grounds now encompass almost 24,000 acres of forested beauty. The state forest is the southern end of Indiana’s 58-mile Knobstone Trail, the state’s longest hiking path. There are two other trails hikers will enjoy: White Oak Nature Trail, and Resource Trail, both self-guiding and a mile long. 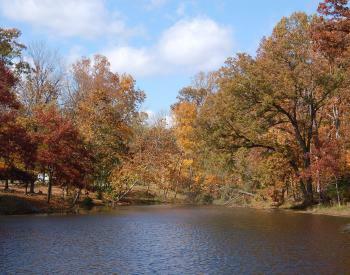 The park’s two preserves are a nature-lover’s dream during fall with red and gold hues from the white oak. Atop the 1,035-foot fire tower, you can see Louisville’s skyline on a clear day. Recreation spots include several picnic areas, eight shelters, seven lakes for fishing, mountain bike and horse trails, and a shooting range. From Henryville, head to the knobs of Starlight along Star Valley Road from State Road 60. During fall, you’ll see some of SoIN’s most spectacular foliage on your drive to Joe Huber Family Farm & Restaurant. The wooded hills are full of brilliant reds, yellows, and oranges. 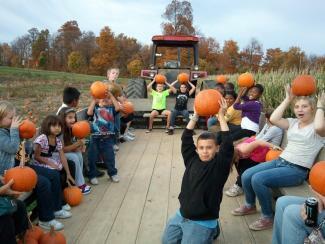 Speaking of orange, u-pick pumpkins are only 50 cents per pound at Joe Huber’s. A portion of proceeds benefits the local WHAS Crusade for Children charity. For made-from-scratch goodness, dine in Barn 1 or Barn 2 for Joe Huber’s yummy Fall Buffet, served through October. Feast on fried chicken, Huber honey ham, mashed potatoes with gravy, chicken and dumplings, green beans, corn, fried biscuits with apple butter, German slaw, and Waldorf salad. 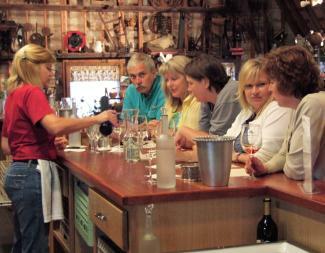 Huber’s Orchard, Winery & Vineyards is also located in rural Starlight. Adults will enjoy the winery and distillery tours and tastings, music on the patio, and lunch or refreshing fruit and cheese plate from Starlight Café. For children, the Family Fun Park’s grain train, pedal karts, trike corral, rope maze, and “larger than life” animals provide hours of fun. Families always enjoy the tractor rides for u-pick fruits and vegetables. Through mid-October, pick ripe and fragrant apples for eating or baking. Varieties such as Granny Smith, Mutsu, Fuji, and Gold Rush are still available. 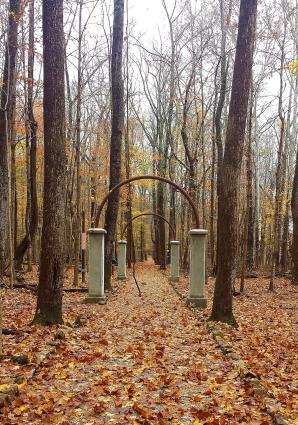 SoIN has other attractions and parks beautiful in the fall. Find them here.